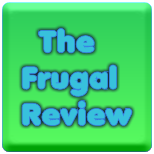 FRUGAL REVIEW: How Tall Will Your Child Be? Most pediatricians have a formula to figure out how tall a child will be. For Boys: Add 5 inches to Mom's height and average that number with Dad's Height. For Girls: Subtract 5 inches from Dad's height and average that number with Mom's Height. Very cool! i've never heard that before. Thanks for joining my blog hop, I'm following oyu now - I hope you will follow me back!